Rose is taking requests for presentations in the 2019 spring/summer time period. If your organization is interested in having Rose as a speaker please contact her at author@rosemariekern.com. For a list of topics she has presented and can offer, go to her Presentations Page. Location: Albuquerque, New Mexico Click here for website. Rose will be discussing the advantages of joining a writer’s group and learning from those who are successful. Her presentation will be part of the opening ceremonies. Rose Marie’s latest book “Stress is Relative” has won an award from the largest group of journalistic professionals in the state. The awards dinner takes place that evening. In celebration of this historic landmark, SouthWest Writers published a book on its history and unique architecture. As President of the organization, Rose will MC an evening on the theatre’s history punctuated by performances from a few of its resident acting, dancing and musical groups. The program is free to the public and sponsored by the City of Albuquerque. Location: Albuquerque, NM Rose will be doing a presentation on how author’s interested in self-publishing can upload their books to KDP Amazon. Click here for more information. Location: Denver, Colorado. Rose will be attending the awards dinner as President of SWW and providing insights on how books are evaluated during contests. Click Here for a link to the Colorado Authors League website. Location: Albuquerque, NM Rose will be speaking to the NM Book Coop members about the advantages of working with an active organization dedicated to helping writers improve their craft. 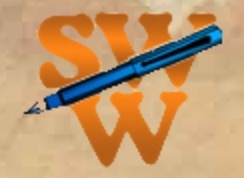 The SouthWest Writers are teaming up with the Military Writers Society of America to offer a writing conference. Rose will be speaking on topics related to writing and working with military pilots. Reno, NV Author’s Corner and guest speaker for the Girls In Aviation Day event Topic: Air Traffic Control as a career choice. October 16, 2018 SouthWest Writers Association – Topic Cut it Out! Presentation on Editing for Writers. Topic: FAAST seminar. 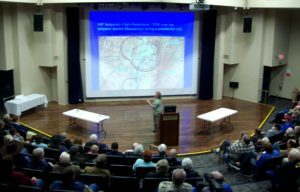 Topics include using the PilotWeb for self briefing, pilot reports and filing domestic ICAO flight plans.